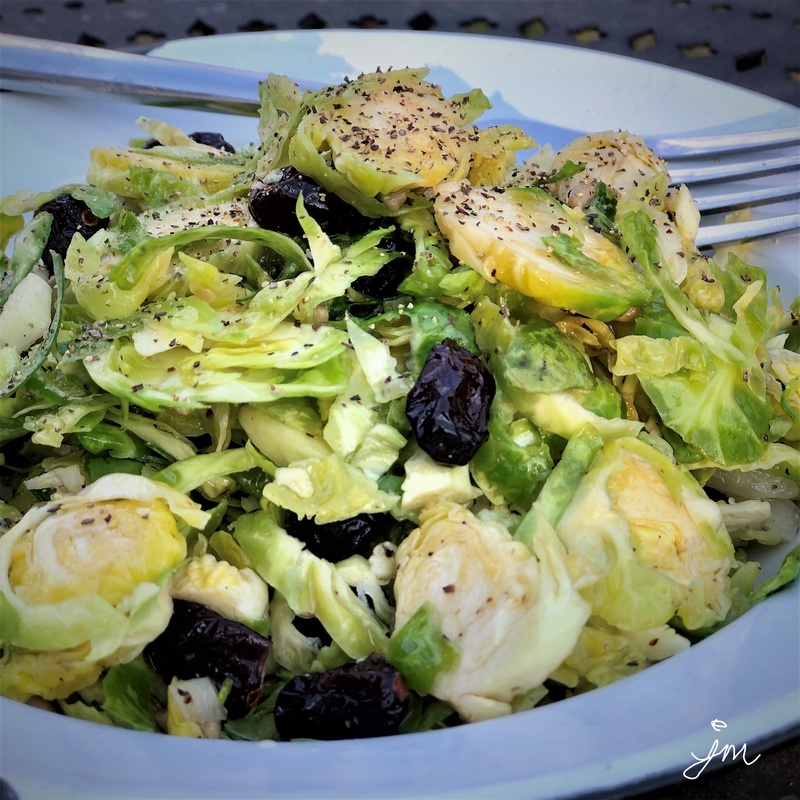 Who is a Brussels Sprouts fan? Yes? No? Not sure? Maybe not? 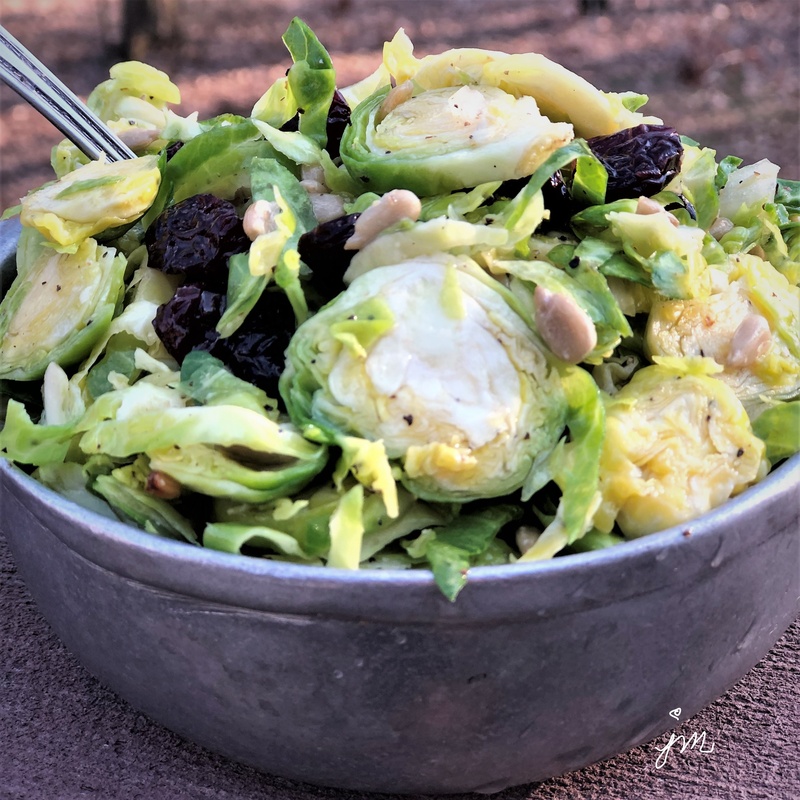 I was chatting with a friend at work last week that said she doesn’t like Brussels Sprouts, but said she wondered how they would be raw in a coleslaw like salad. She commented that she likes cabbage in coleslaw, but not cooked cabbage. It got me thinking….. 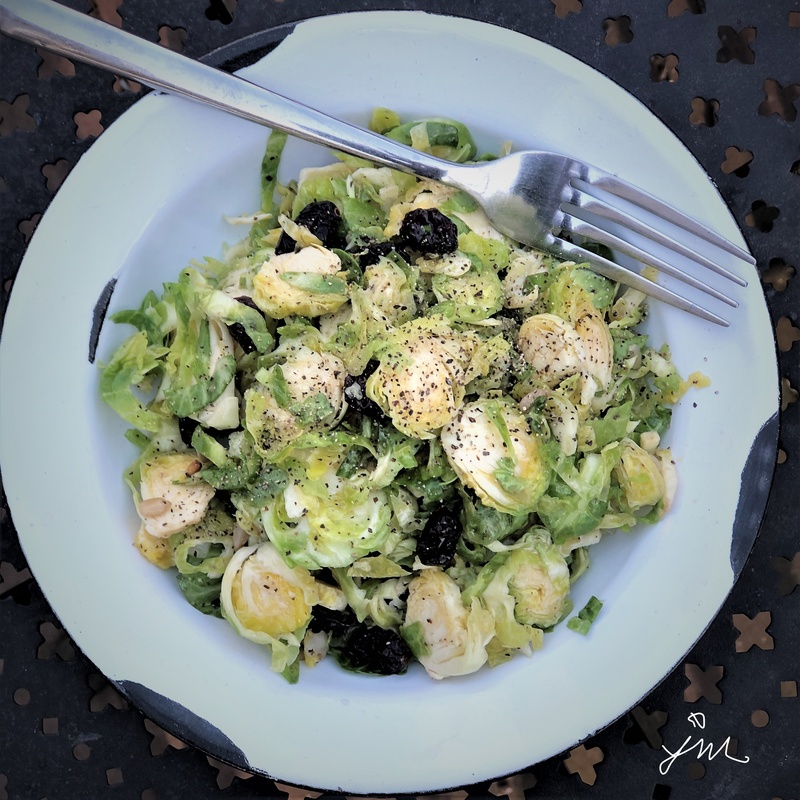 I am a Brussels sprout fan…. 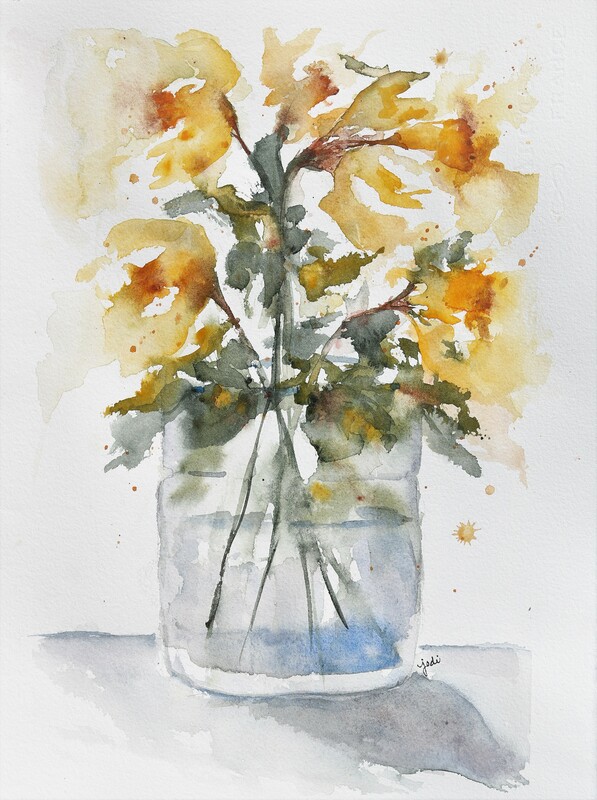 adore them roasted…. but I, too, wondered how they would be shredded and served raw in a slaw-type salad. Then the universe poked me with a nudge, when I saw bags of Shaved Brussels at my local Whole Foods Market! I bought a bag for me and a bag for my friend. Trying to eat healthier these days, I decided on a vinaigrette slaw. My friend made a creamy version using Marzetti slaw dressing, and she and her family loved it. Here is the recipe for how I made mine. Hope you will give it a try! Mix all together and let marinade in refrigerator for at least a half hour before serving. You can change it up by adding sliced almonds or chopped apples or anything else you like. 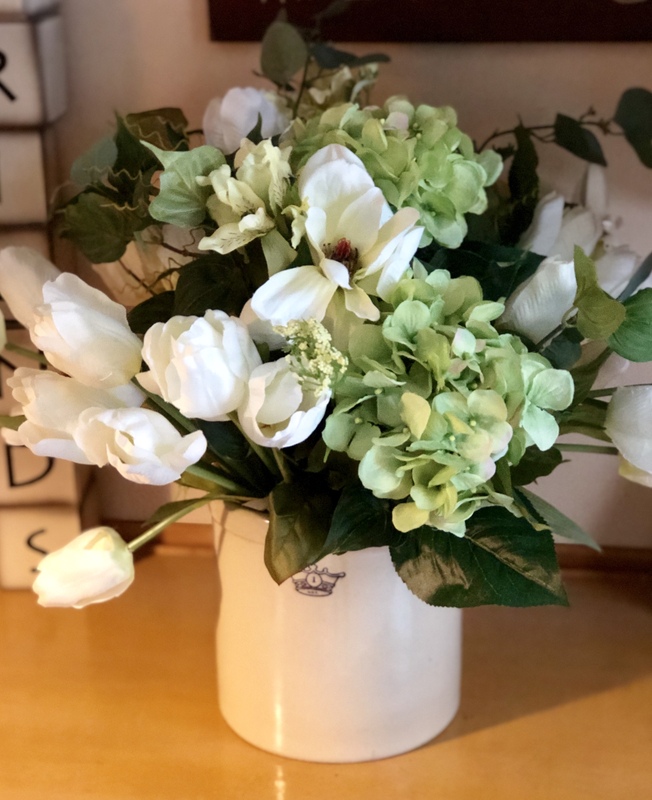 Today is the first full day of Spring, and oh how ready I am to welcome it! 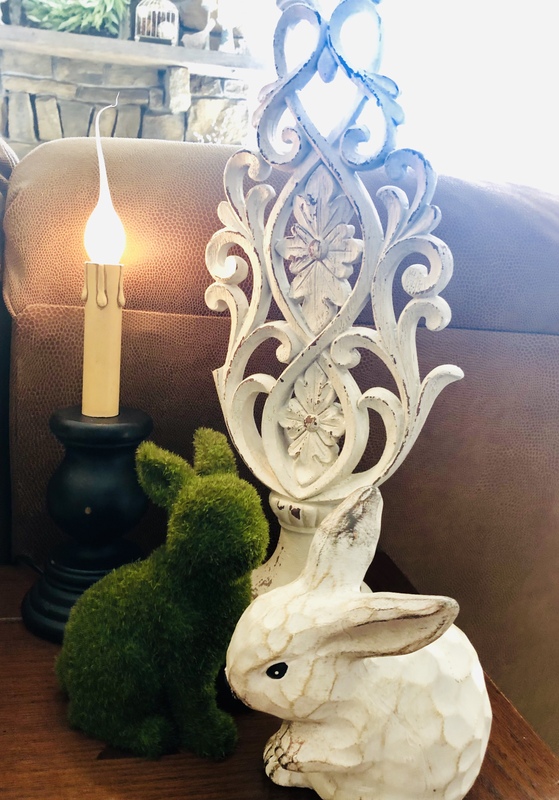 It may still be a little brown and chilly outside, but I put the snowies away and brought out the flowers and bunnies and birds. 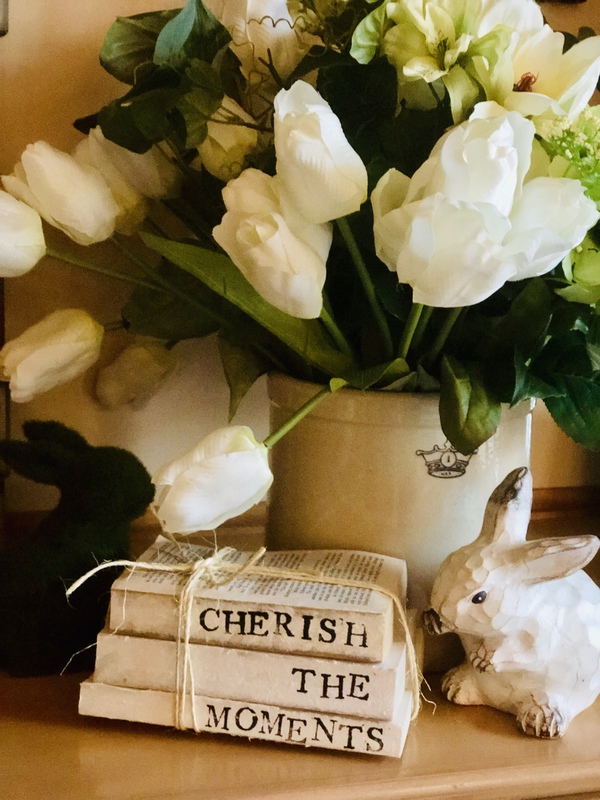 I got this sweet tray and floral and bunny from my friend Anne’s Farmhouse Primitives shop at Berry Vine Gifts. 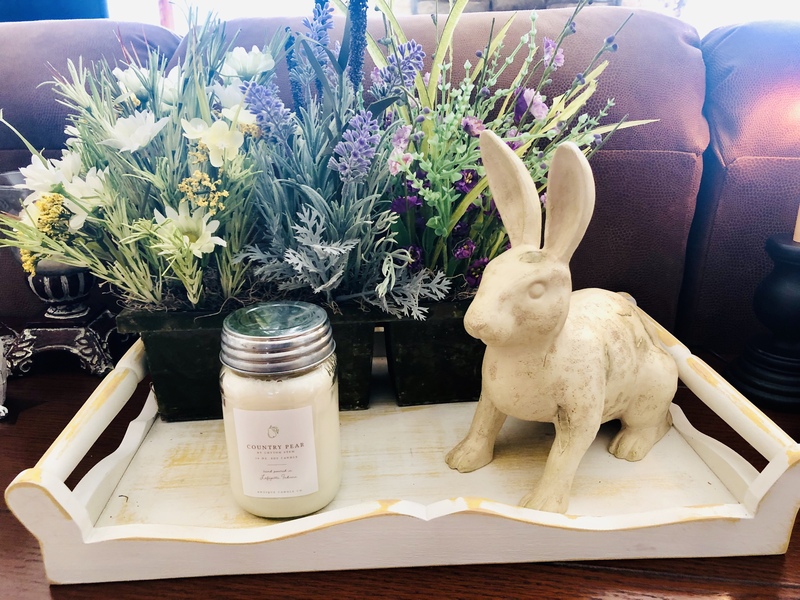 The amazing candle is from Antique Candle Co. in the most luscious fragrance of Country Pear by Cotton Stem. It is one of the most wonderful smelling candles I have ever had! 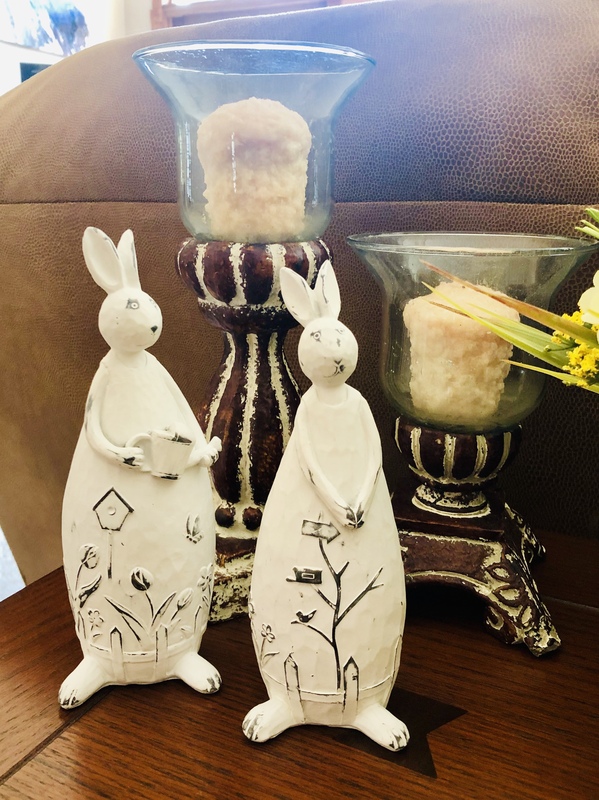 These little bunnies are from a recent trip to Hobby Lobby. 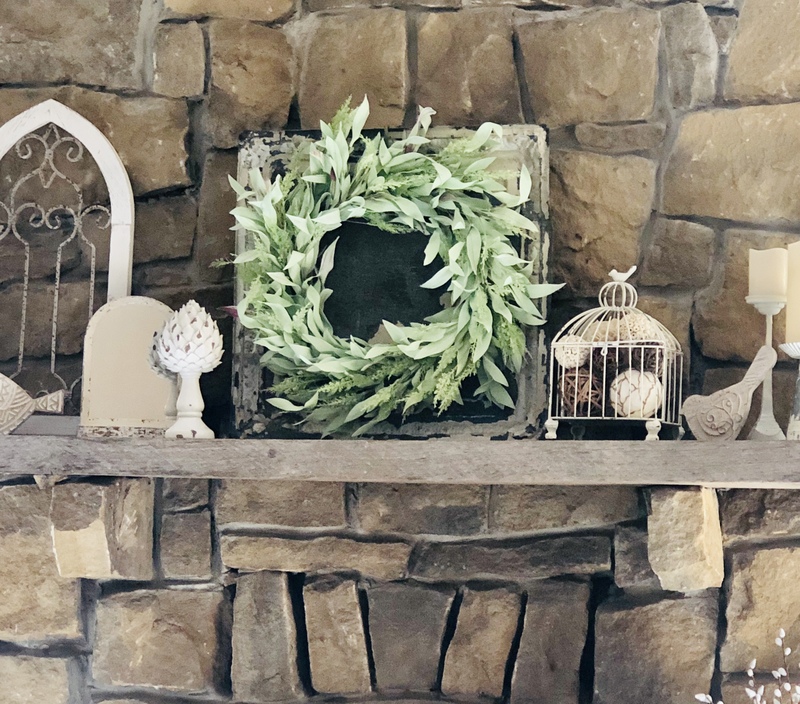 And I love this Springy green wreath I also found in Anne’s shop at Berry Vine Gifts. It replaced the cotton stem wreath I had here for Winter. Breathe in the fresh air. 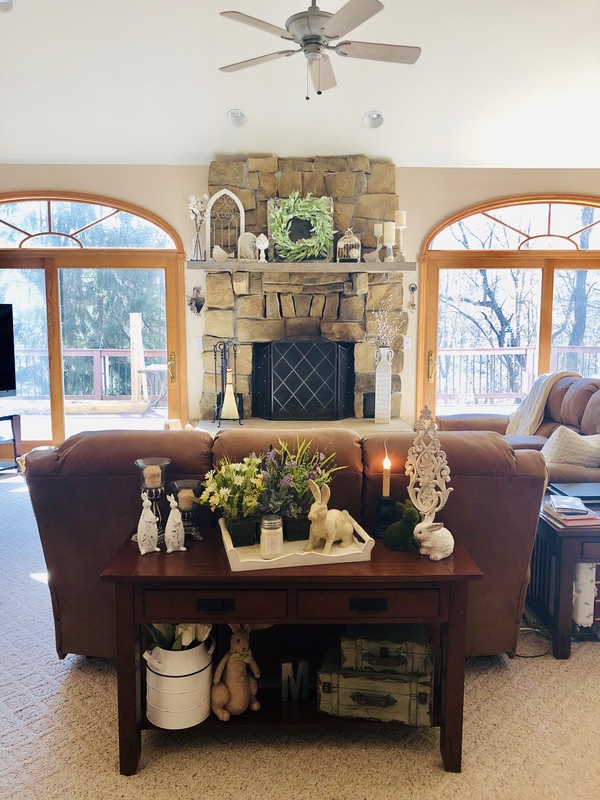 Soak in the warmth of sunshine. 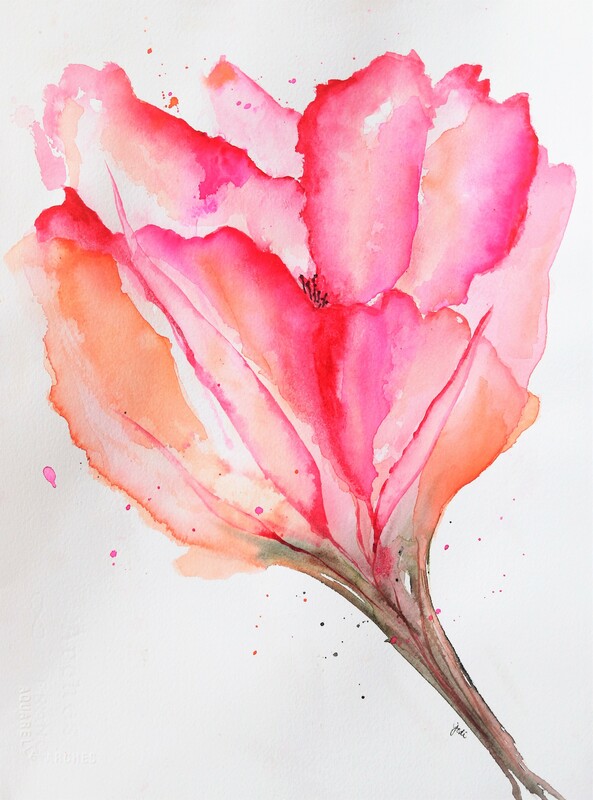 Bloom and blossom like the flowers. Whistle a happy tune with a spring in your step. 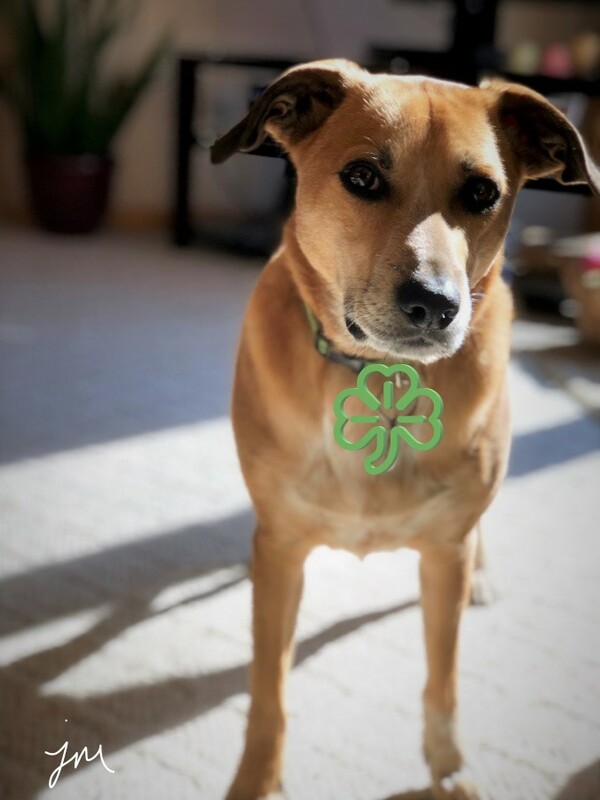 Charlie’s Irish Blessing: A St. Patrick’s Day Special. so we can go for walks. of wonderful scents to savor and sniff and smell. upon my fur for taking afternoon naps. except in my yard when I need to go potty. in the palm of your hand to share. PS A very happy birthday to my brother, Nick. May you feel 29 forever (and always remember to bring me treats and scratch my belly)! Charlie is an adopted dog with brown eyes and a white-tipped tail who brings joy and laughter to his family and friends. Charlie is a gifted writer, raving food critic, cat, chipmunk, and donut lover, and exceptionally photogenic model. Some of his best friends are Mike the UPS Man, Cliff the Mailman, and ANYONE who delivers pizza to the house. 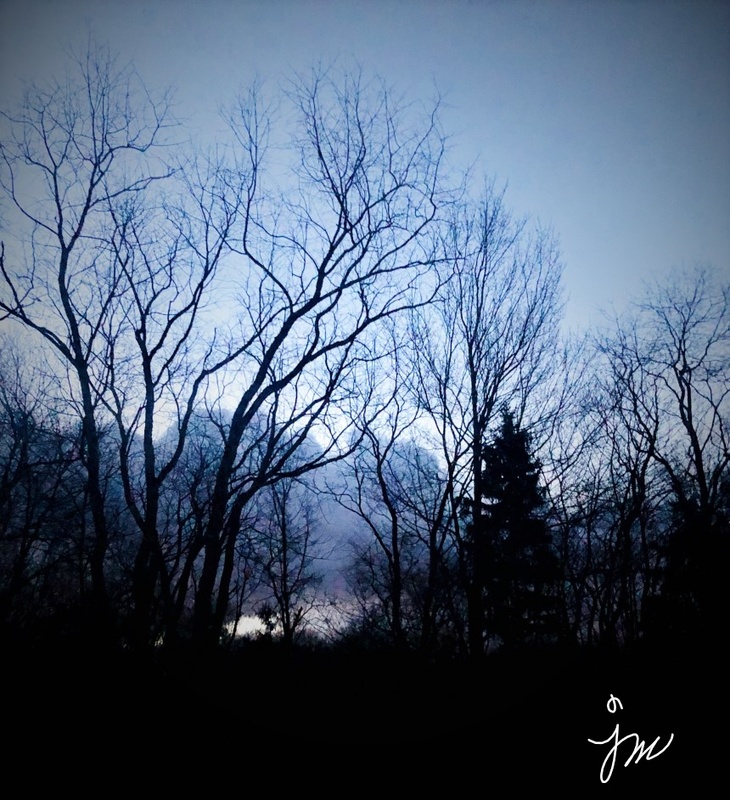 If you would like to read more guest posts by Charlie, simply type “Charlie” into the Search box at the top right hand corner of this link: thecreativelifeinbetween.com. If you would enjoy a companion like Charlie, please consider pet adoption. 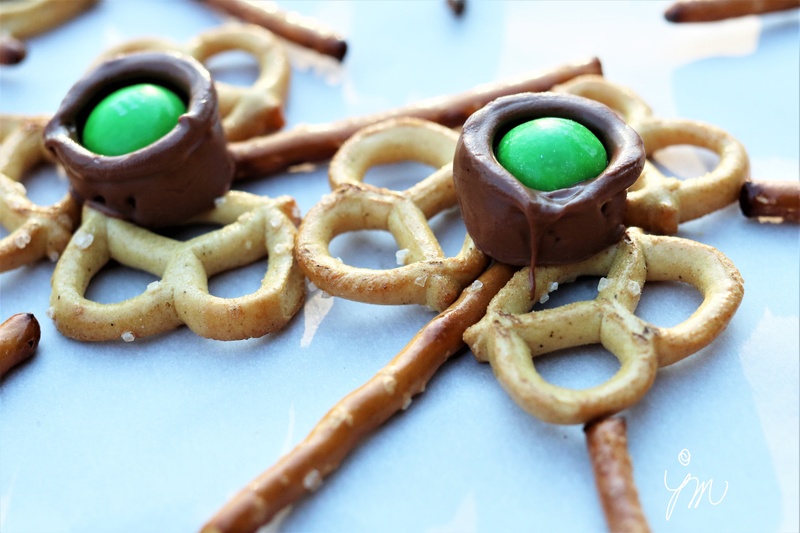 Pretzel Shamrocks for St. Patrick’s Day. When I saw this idea on Pinterest, I knew I had to create some of these. A few simple ingredients and two minutes in the oven make for a winner of a special holiday treat. I had a bag of Rolos left over from Christmas, and I knew I could pull some green M&M’s out of the jar I keep full most all the time. I had some pretzel sticks, but didn’t have mini pretzels, so that is all I had to buy. The ones I picked up at Fresh Thyme were Gluten Free and made from rice flour, so a bit lighter color, but completely delish! Here is the super simple “recipe.” Do you have some friends or loved ones you’d like to share them with? 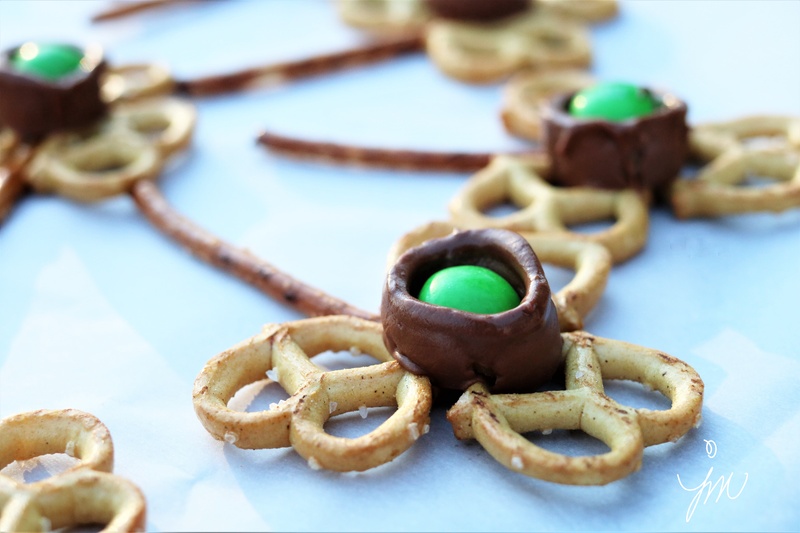 Preheat oven to 250 degrees F. Lay pretzels out in the shape of shamrocks on parchment paper lined baking sheet or stone. 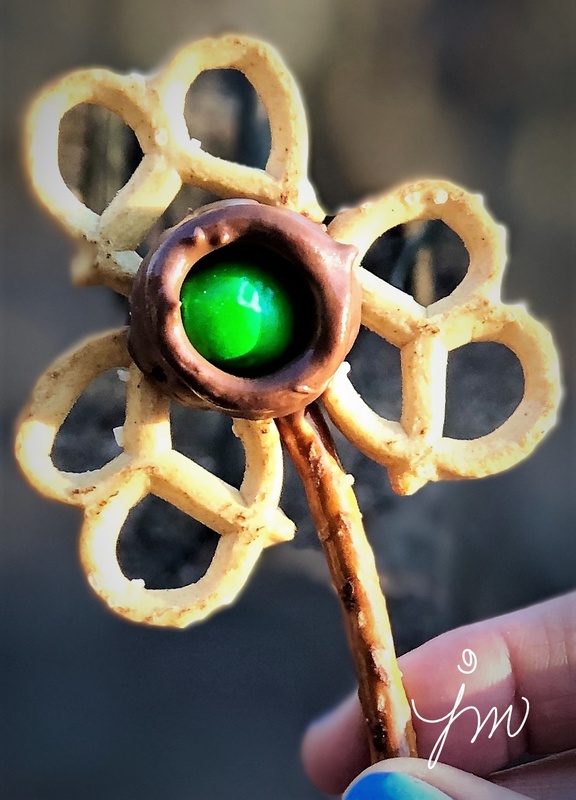 Place a Rolo where all three pretzels meet. Bake for 2 minutes for Rolo to soften. Remove from oven, and press M&M in center of Rolo. Cool completely and/or place in freezer to chill. There is Always Something to Smile About. It was REALLY hard getting up for work on Monday! In our part of the world, we started Daylight Savings Time and lost an hour of sleep Sunday morning when we had to turn the clocks forward. Since I didn’t have to wake up at any certain time on Sunday, it was not a problem. I skipped my morning treadmill routine and went back to sleep until 6 am. Still didn’t want to get up…. but I did. The upside to this crazy ritual is that it now stays light later, and Charlie and I were able to walk outside after work. When Charlie and I go for a walk, we almost always take the same route, so I make it a point to always try to see something new. 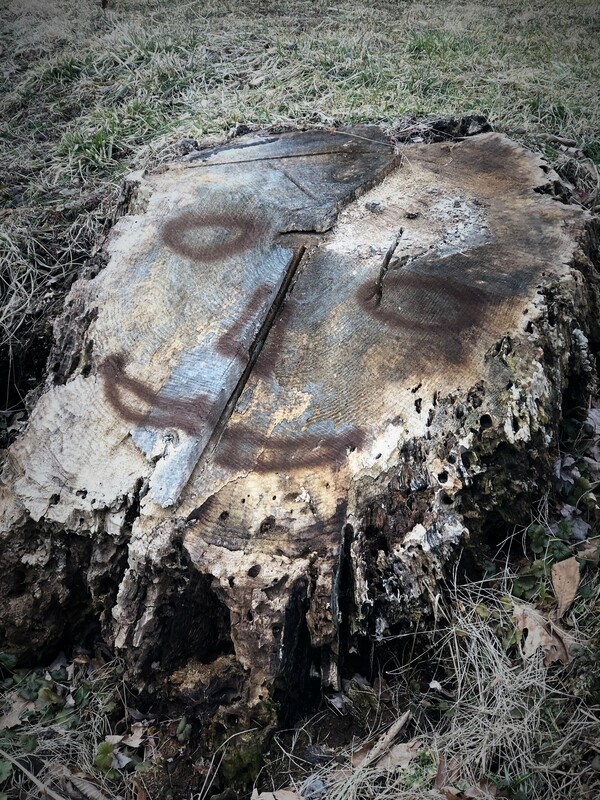 It was on our way back that I spied a smiley face painted on this old tree stump that has obviously been there a while. This was the first time I saw it. There is always something to smile about! is about wealth and possessions. is about love and joy and peace and contentment. that ultimately add up to an abundant life.